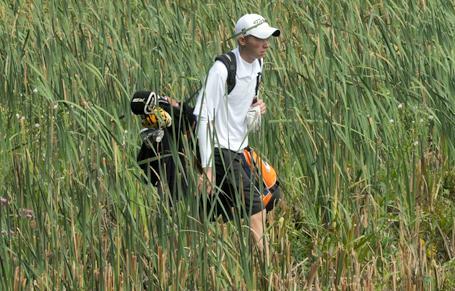 The Hope golf teams will be seeking to maintain traditions of excellence. The Flying Dutchmen will be seeking to continue a winning tradition as they seek to repeat as champions of the Michigan Intercollegiate Athletic Association (MIAA). A year ago the Flying Dutchmen won the regular season MIAA title, captured the league's NCAA qualifying tournament and competed in the Division III national championships. The Flying Dutchmen have established a championship tradition under coach Bob Ebels who begins his 22nd season at the helm of the program. He has guided the Flying Dutchmen to 10 conference championships and six appearances in the NCAA Division III championships. Captain of the team is John Cannon of Traverse City (Traverse City West HS), the lone senior on the pre-season roster of eight players. The only other upperclassman is junior Jason Vanderklok of Scotts (Vicksburg HS). The rest of the team is comprised of sophomores. A year ago as a first-year player, sophomore Collin Breit of Muskegon (West Michigan Christian) led the Flying Dutchmen at nationals. Cannon and sophomore Evan Telzerow of Grand Rapids (Forst Hills Northern HS) were members of Hope's national tournament team. The 2012 Flying Dutch will be aiming to continue their march toward a conference championship after taking huge strides a year ago. After finishing third in the Michigan Intercollegiate Athletic Association (MIAA) for three consecutive seasons, the 2011 Flying Dutch moved up to second place in both the regular season standings and at the league's NCAA automatic qualifier tournament. The Flying Dutch were first in the league standings heading into the season's final tournament. The Flying Dutch are under third-year coach Greg Stafford. Captains of the team are seniors Maggie Mangan of Wheaton, Ill. (Wheaton-Warrenville South HS) and Charlotte Park of Grosse Pointe Farms (Grosse Pointe South HS). The pre-season roster of eight returning players includes two seniors, a junior and five sophomores. Park and Brittany Haight, a sophomore from Otsego (Otsego HS) received All-MIAA first teams honors in 2011. They ranked second and third in the seasonal player standings, Park averaging 80.7 strokes over six league rounds and Haight right behind at 81.4. The Flying Dutchmen approach their 103rd season seeking to build on the momentum of the program’s most successful campaign in six years. The 2011 team posted a 7-3 record and finished second in the Michigan Intercollegiate Athletic Association (MIAA). Hope's soccer teams are primed for another great season of play.